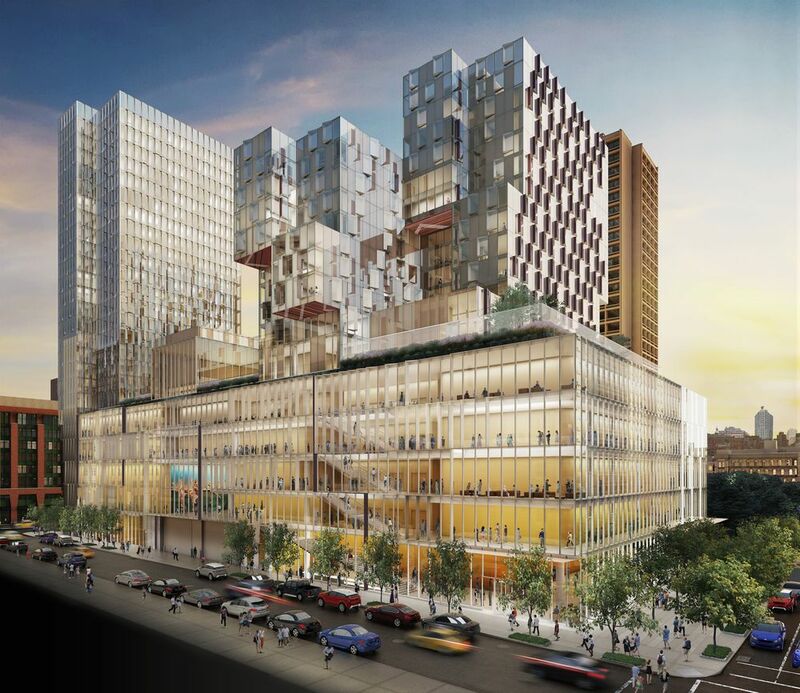 New York University released renderings yesterday of the new Davis Brody Bond and KieranTimberlake–designed 23-story building (dubbed 181 Mercer) on the corner of Houston and Mercer streets, where the Cole Sports Center once stood. Bordering I.M. Pei’s University Village, the tessellated glass building will be 735,000 square feet and includes plans for 58 new classrooms, 50 practice rooms, 20 music instruction rooms, a 350-seat proscenium theater, 10 multi-use rooms for the performing arts, an orchestral ensemble room (the university’s first), and housing for approximately 420 freshmen students and at least 30 faculty. This will make it NYU’s largest classroom building. 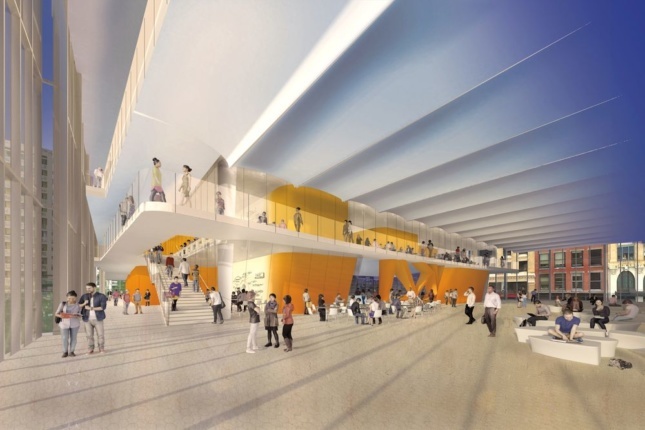 Additionally, it will include common areas, such as an athletic facility with a lap pool, basketball courts, and other fitness areas that collectively will serve as the new hub of the NYU sports facilities. Both firms have worked on collegiate campuses such as Columbia University, University of Pennsylvania, Harvard, Yale, Princeton, and Cornell as well as many others, and wanted this building to be a visual departure from the Cole Sports Center, which was described as opaque and monolithic. The architects opted to only use 80 percent of the permitted square footage to create a sense of permeability and keep the structure open to the public. Greene Street will be extended as a pedestrian walkway between the building and the University Village to create an open feel on campus. Fostering a sense of lightness and transparency was key to the design, which incorporates green roofs, glass panels, outdoor terraces, and common areas and pushes circulation spaces to the perimeter. The project has been in the works since plans were filed and approved by City Council in 2012. Construction is set to begin February 2017 and will be completed in 2021. The projected cost is $1.b million.